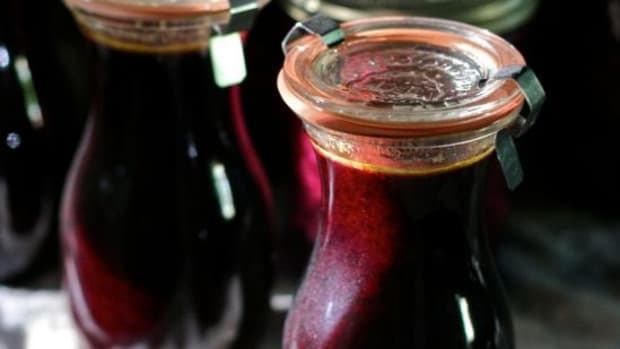 Infused vinegars are ridiculously easy to make and great for many household uses from cooking to cleaning to gift giving. 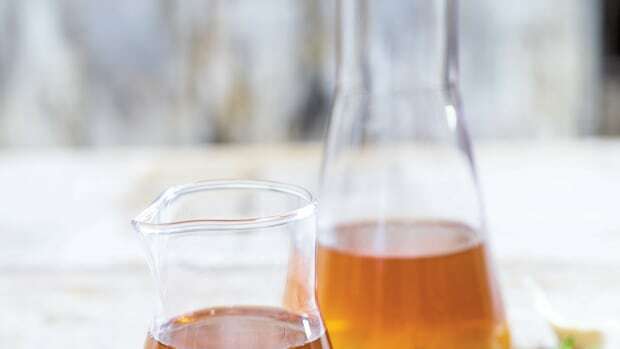 You can infuse almost anything into vinegar, which is so acidic that its breaks down the infused matter and extracts the wonderful aromas and flavors into the vinegar. It only takes a few weeks to end up with a strongly flavored vinegar, which will look gorgeous on your countertop or shelf while brewing. Learn how to craft your own delicious and useful infused vinegars in these 7 simple steps and 3 delicious recipes, or get creative on your own with all the flavors and scents that you can mix and match! 1. 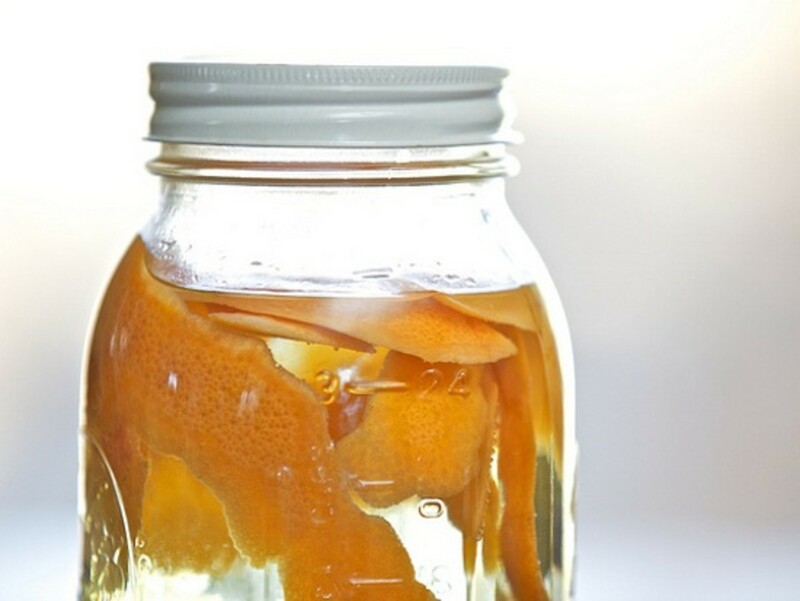 Find glass jars or bottles with lids that you would like to make your infused vinegar in. Clear jars display the infused items beautifully, but colored glass will also do. To determine the amount of vinegar you&apos;ll need, fill the containers you are using with water and pour into a measuring cup; this will be the amount of vinegar you&apos;ll use in step 3. 2. Choose your infusion ingredients - we&apos;ve got three delicious recipes to try below, but you can infuse pretty much any plant matter with an aroma and flavor. 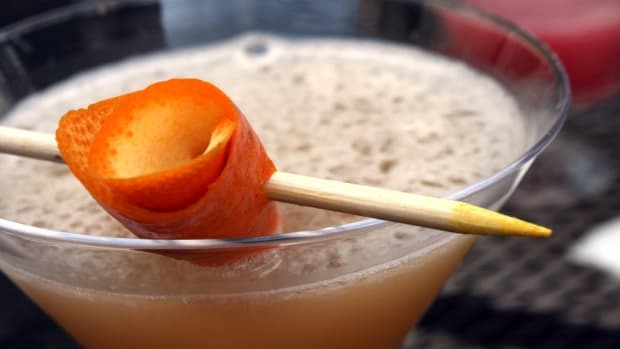 Place the ingredients in the jar or bottle using a chopstick to push them in if necessary. 3. Heat your vinegar of choice to warm, but not boiling. 4. Using a funnel, pour the warm vinegar into the jars with the infusion ingredients until almost full. 5. 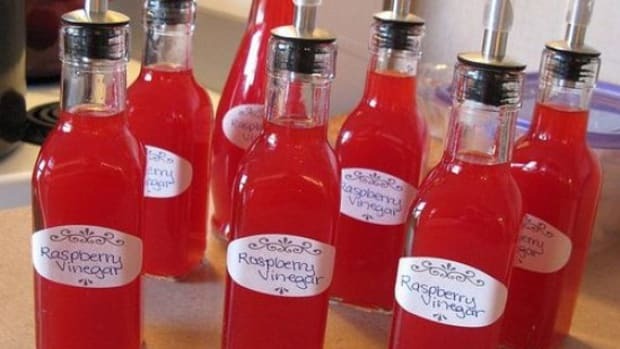 Let the infused vinegars brew out of direct sunlight for about two weeks, making sure to shake the jars or bottles every few days. 6. After about two weeks of brewing, the infused vinegars will be ready for straining. 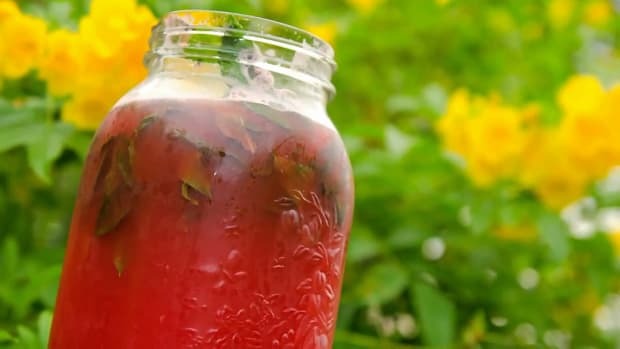 Use clean jars that you want to store the vinegar in permanently; place a funnel and strainer (and maybe cheesecloth or coffee filter if your infusion agents are very small) over the clean jar and pour the infused vinegar into it. 7. You can compost the infusion agents, or place a small amount of them in the jar for presentation purposes. The infused vinegar will keep its flavor for up to 5 months. Have ready a clean, large nonreactive bowl. Thoroughly rinse the basil leaves or herb sprigs and then pat dry with paper towels. Rough chop the leaves (leave sprigs whole). In a nonreactive saucepan over low heat, warm the vinegar until hot but not yet simmering; do not let it boil. Remove from the heat. Place the basil, garlic and lemon zest in the bowl. Pour in the hot vinegar and stir to combine. Set aside to cool. Cover the bowl tightly with plastic wrap and refrigerate for 2-4 weeks; the longer the vinegar stands, the stronger the flavors will be. Gently stir the vinegar every few days to blend the flavors. Have ready hot, sterilized bottles. 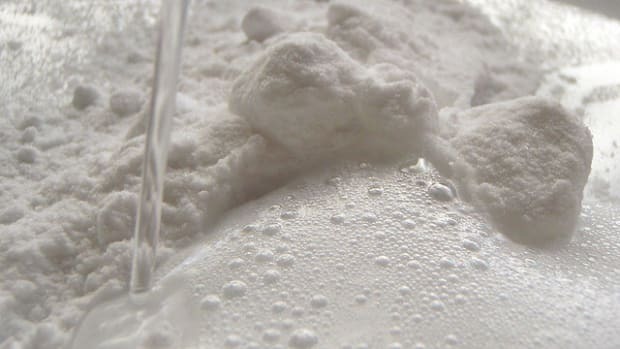 Strain the vinegar through a fine-mesh sieve and then through a coffee filter. Using a funnel, pour the filtered vinegar into the bottles. Cover tightly and store at room temperature for up to 2 months. Makes 2 one-pint bottles. Wearing rubber gloves and using a sharp paring knife, slice one side of each pepper open, just to release flavors. Seeds can remain inside the peppers. Pour vinegar into the jar. Cap tightly and leave in a cool, dark place for 2 weeks. Sample vinegar for flavor. Allow to infuse longer or strain. 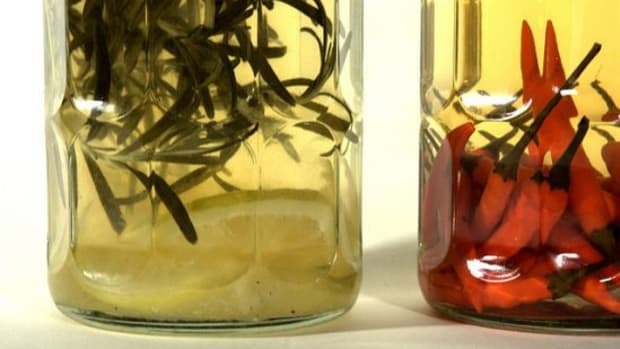 Strain out the peppers and pour flavored vinegar into a fancy, sterilized bottle. Optional - Add one or two peppers into the fancy bottle for decoration (they will continue to add heat to the vinegar). Label and decorate. You can make this directly in a fancy bottle, just remember it will continue to get hotter the longer it sits and the more peppers you use. Thoroughly rinse fennel fronds, orange zest and star anise with water. Remove the jars from the water bath with a jar lifter or tongs. Divide the flavorings among the jars. Heat vinegar in a large saucepan to a bare simmer (at least 190°F). Carefully divide the vinegar among the prepared jars, leaving at least 1/4-inch space between the top of the jar and the vinegar. Remove lids from the water bath, dry with a clean towel and screw tightly onto the jars. Store the jars in a cool, dark place, undisturbed, for 3 to 4 weeks. Strain vinegar through cheesecloth into another container. Repeat as needed until all the sediment is removed and the vinegar is clear. 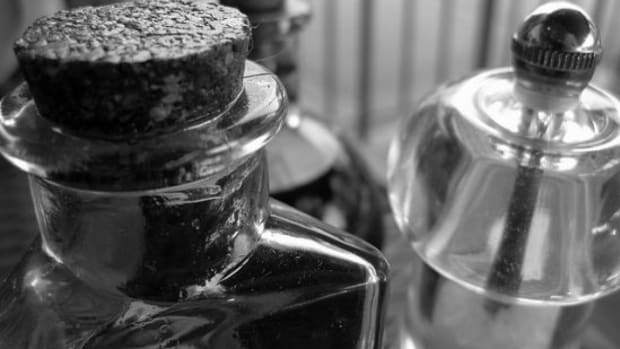 Discard all solids and pour the strained vinegar back into rinsed jars or divide among sterilized decorative bottles. Decorate with a few well-rinsed fennel fronds, strips of zest and/or star anise, if desired.